Improving the following Chemical Terms functions to handle atom index arrays as input parameters: formalCharge(), hCount(), connections(), valence(), radicalCount(), atno(), map(). Improving the matchCount() function to handle molecules with query Hs. Bugfix for the Tautomerization Plugin: the plugin gave back different canonical tautomers from what were expected for oxim-type molecules. Bugfix for the NMR Plugin: calculating NMR spectra for highlighted molecules did not work. Bugfix for the Refractivity Plugin: refractivity failed for a molecule throwing exception. See the forum topic for details. Bugfix for the pKa Plugin: inconsistent calculated values for the same molecule represented in different atom order. See the forum topic for details. Bugfix for the 3D Alignment Plugin: molecule selecting function did not work properly during the alignment process. See the forum topic for details. Bugfixes for the Tautomer Plugin: bugs in the dominant tautomer distribution calculation for molecules containing P. See the forum link for details. Bugfix for aromatization/de-aromatization: errors in conversion between aromatic and Kekulé forms. Bugfix for the pKa calculation: improving calculated values in relation to the logD training. See the forum link for details. Bugfixes for the Tautomer Plugin: bugs in the dominant tautomer distribution calculation in cxcalc. See the forum link for details. Bugfix for the steric hindrance calculation in Metabolizer: slow-down of generation of 3D conformers for molecules with fused rings fixed. See the forum link for details. Bugfix for the MCS-based Alignment method in the Alignment Plugin. See the forum link for details. Bugfix for major microspecies calculation in cxcalc: fix for lost SD properties in the output. pKa calculation fixes for amide structures. See the forum link for details. Fix for solving the pKa calculation slow-down and JVM break. Calculating chemical properties for highlighted structures: it is possible to run the calculators for highlighted structures in MarvinSketch. Solubility results/plot is automatically updated when the molecule is modified on the canvas in MarvinSketch. New HLB node in KNIME is now available. See the KNIME release notes for details. Bugfix for tautomerization: tautomer generation for molecules with explicit Hs wasn't working properly. Bugfix for rendering acidic/basic pKa values: red/blue representation wasn't working. Bugfixes for tautomerization: various bugs in the tautomerization of the Standardizer KNIME node; tautomerization of indazole for its pKa calculation was incorrect. Bugfix for the Tautomer Plugin: tautomerization of 4-hydroxycoumarin wasn't correct. 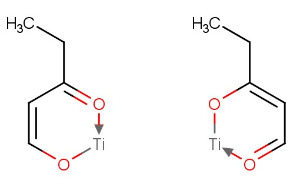 Bugfix for the Tautomer Plugin: bad oxo-enol tautomerization for a molecule. Bugfix for the Tautomer Plugin: calculating dominant tautomer distribution in cxcalc didn't behave well for certain molecules. Releasing the new HLB Predictor in MarvinSketch. See the documentation here. Bugfix for calculating the pKa for carbanions. See the forum topic about the bug here. Releasing the new HLB Predictor in cxcalc, its API and in Chemical Terms. See the documentation here. Improving and modifying the tautomerization options in the Tautomerization Plugin. See the documentation for details. Improving and modifying the logP calculation methods in the logP Plugin. See the documentation for details. Improving and modifying the logD calculation methods in the logD Plugin See the documentation for details. Stiochiometry in chemical formulae is shown in subscripts. Subscripts are now correctly displayed in the Elemental Analysis Plugin. ADME predictors have been removed. Chemical Terms stereoAnalysis() function has been improved. Documentation. New Solubility Predictor API has been released. API doc. Chemical Terms logS() function has been improved. Documentation. New calculation in Elemental Analyser Plugin: mass spectrum (Documentation). 'Grouped dot disconnected formula' has been added to Elemental Analyser Plugin. Bugs reactant() and product() functions in Chemical Terms have been fixed. 'Setting radius' option in Geometry Plugin has been removed. Please visit this page for History of changes relating older versions of Calculator Plugins.